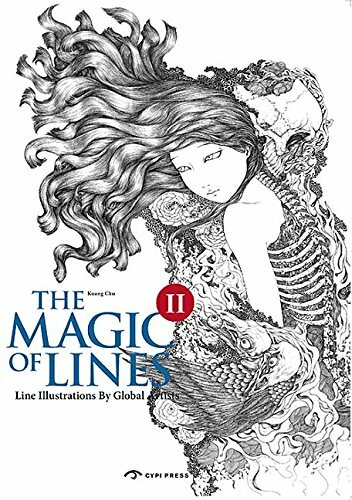 The Magic of Lines is a series that features beautiful line art from artists around the world. In this second volume, there are 27 artists featured. As the book title suggests, the highlight of this book is the amazing drawings created by lines. There are many different styles and techniques featured. Some of the artworks are incredibly detailed, with lines almost filling up the entire canvas. I guess the artworks can be classified as contemporary art. There aren't any comic styles or sketches. And all the artworks look like they were created with a lot of effort and time. This book can serve as a source of inspiration and reference to see how far you can push line art and the type of art you can create. Another good thing about the book is I've not see any of these artists before so they are all new to me. I would recommend this book to those who like line art and also artists who want to try something different, or explore new styles.